Are you enjoying Cyber Monday shopping? Did you go out Black Friday too? I didn't do either. Fortunately, I stocked-up on toys pre-Thanksgiving. I was just wrapping up one of the Christmas presents and was so pleased to find I still had a ton of paper left. 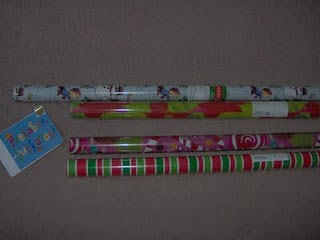 Last year Hallmark had several coupons in magazines that made for $1 giftwrap at their store. You could also use the $10 off $10 Hallmark posted by Hip2Save a few weeks ago. Some stores are not allowing these. I will let you know if I was able to use mine at our stores. Of course you don't have to buy wrapping paper. I am thinking of getting Christmas cards or small ornaments, myself! There is one in the Cordova Mall and another off Hwy 98 & Blue Angel (Winn-Dixie shopping strip). The four above I bought last year are thick, glossy and very high quality. We can finally cover our front door with paper that a slight breeze won't tear apart. Well, this is a great bargain if you ask me! Bible Study Fellowship (BSF) is an international, nondenominational Bible Study. Classes are 9am-11am Weds at East Brent Baptist (near the Home Depot by at the Cordova Mall area). This Weds, Dec 1 is the intro class. There's an intro class every First Weds of the month. This class is also for women only. A young children's program is available for children 6 and younger. I was blessed to help out in the infant nursery this past Weds. Not only did they sing hymns while rocking the babies, but they also taught them sign language words and a memory verse! I was so impressed about how much care they gave these little crawlers and walkers. If you live in another city, there might be Men's and Children's classes (1st grade and up) in your area. It's great if they do because you get to study the same passages in Scripture together as a family! Plus it is all FREE. They provide all the study materials so you don't need to buy a book! I am really enjoying this study of Isaiah we are doing. It's causing me to dive into the Word and learn so much about things that apply to our modern times. I hope you can check it out too! 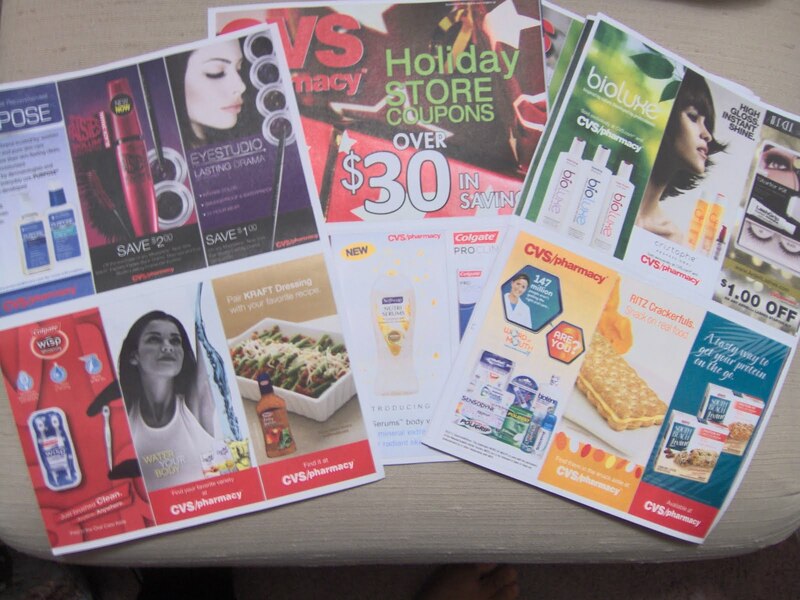 CVS puts out a quarterly magazine for $0.99 called Reinventing Beauty. 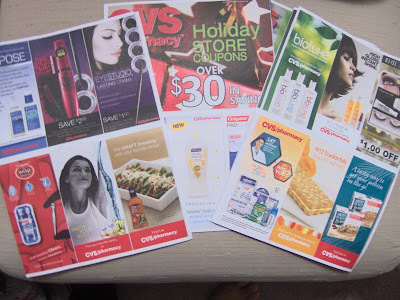 It always has great store or manufacturer coupons. You don't have to buy the magazine to get these great coupons. Right now, there is a stack of the inserts at the registers. Pick-up a couple to use for BOGO deals. In fact, you can use many of these at Publix, too! $2/1 Bio Oil 2 or 4.2 fl oz. Are you getting your gas card at Publix this week? I hope so. Soon after we left the Perdido store, my hubby got gas at the Shell station across Mc Donald's. It's $2.75/gallon (only 2 cents more than Wal-Mart). And you can use the promotion on the American Express Gift Card (AMEX) to get another $5 overage... intrigued? *back cover of sales ad or PRINT. Go to the last tab on top of the weekly ad. It says "Coupons" or click from the left side bar. I had some FREE product coupons mailed to me and a raincheck on the Ronzoni Garden Delight, putting my total after coupons to only about $4 plus $40 for the gas card- which all went on the AMEX card! 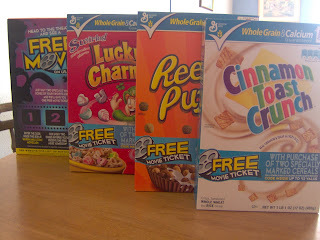 Buy 2 Lucky Charms Get FREE Movie Ticket! Wal-Mart still had $1.96 movies last night at 8:30 pm. While there, I saw some General Mills cereal at an end cap. They are kids cereals and you buy two and get 1 FREE movie ticket. These are good for up to $12 admission. The cereal flavors are Trix, Lucky Charms, Cinnamon Toast Crunch, and Reese's Puffs. I'm staying put this morning. But I do plan some grocery shopping tomorrow! $0.50 Kraft cheese at Winn-Dixie can't be passed up. 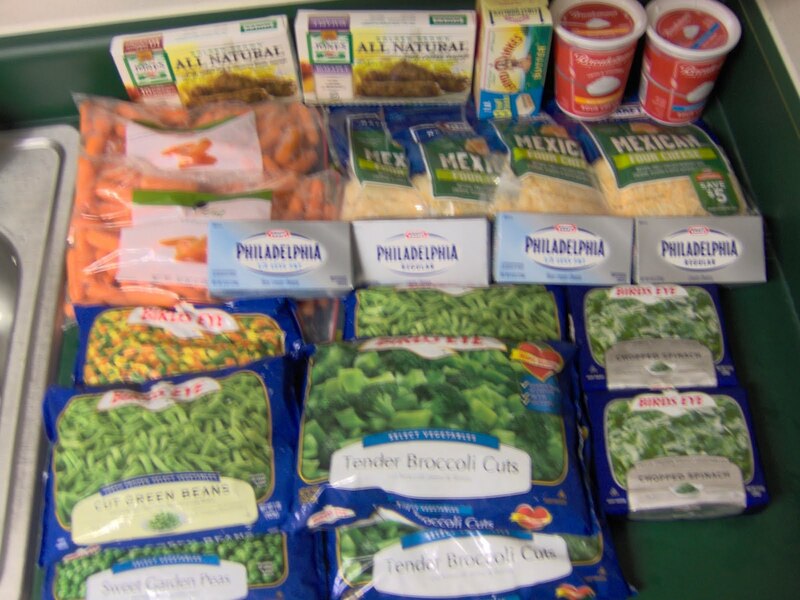 Canned veggies make great Food Pantry donations- only $4 or 12 cans! Yes, I couldn't resist. I went to CVS after Tanks giving dinner. I felt bad for the cashier but she said her Mom had to work too and they had Thanksgiving yesterday. I was not alone there for too long. A few wives dragged their hubbies to get Black Friday deals early too. I started with no ECBs to rollover. I also used the $4 off $20 found in the Christmas book. It's good through 11/28, limit 1 per household. Thanks to Southern Savers for the photo. That's a savings of 93% after all is said and done. The first 3 transactions are all FREE items without any coupons. With coupons, it would be a $11.75 moneymaker! Submit the Renpure Try-Me-Free Rebate and that's another $4.99 overage! 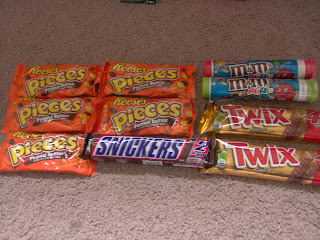 FREE 10 candy bars after ECBs! 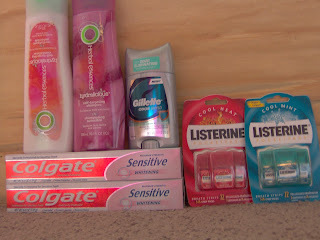 -$0.75 Colgate sensitive from All You Dec 2010? This could have been lower OOP if I gave my other ECBs instead. You know... I don't think I paid for that detergent! I looked in my receipts & it's not on there. It's $1.99 get $1 ECBs. I'll have to go back tomorrow & pay for it! I had to go back into the store to get the Cold Eeze for DH. 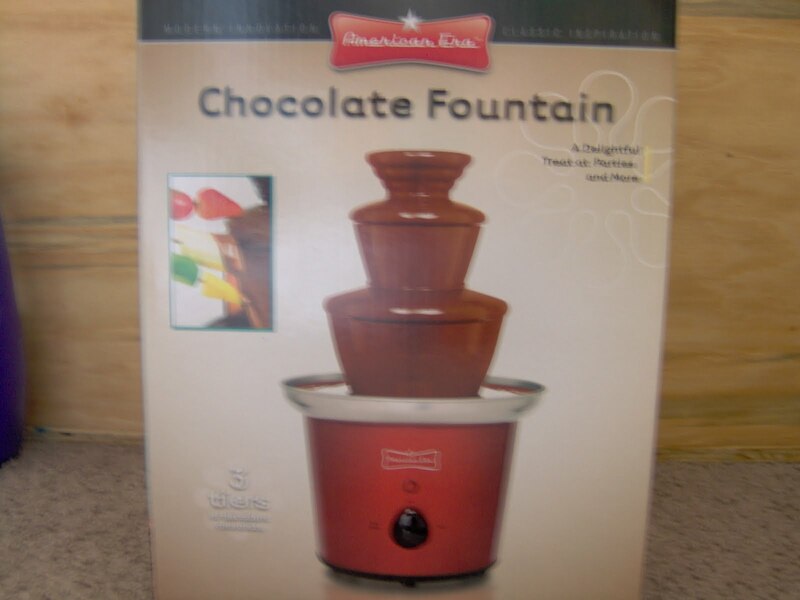 The chocolate fountain is for Ladies Gift Exchange. It's a smaller version and perfect for family use! It's red and pretty cute. They also had lots of other gift-type appliances that were $18.88 with $10 ECBs after purchase. Wishing everyone a wonderful and Happy Thanksgiving! 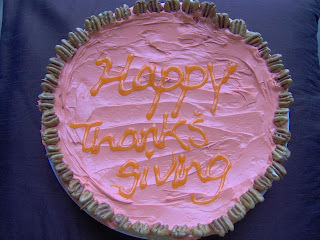 This was in Family Fun's October 2010 issue- "pumpkin pie" giant cookie. It was a hit with the little kids. And I was so proud of myself for finally making something from this magazine. We've had the subscription for 6 months now! 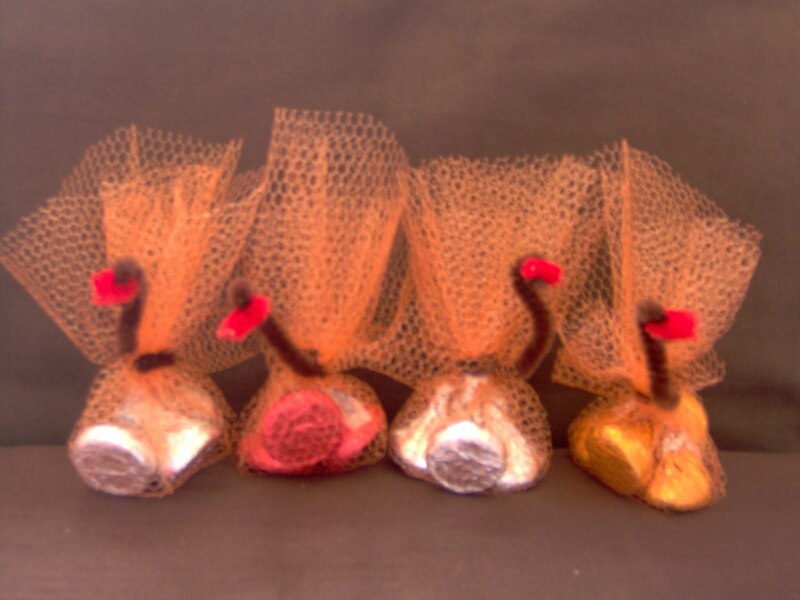 These little turkeys from Makes&Takes were also a great idea. The only problem was the little kids knew they were chocolate and only wanted to eat these instead of dinner... would have been better as a parting gift! I thought of a couple more last-minute gifts to get so I hurried over to Target. The lines were pretty short. Maybe people fled Pensacola for better cities for Thanksgiving. Anywhoo, there were still lots and lots of toys and items for Thanksgiving. These finds are courtesy of Totally Target. Many of these items should still be on sale through Saturday, at least. My total was around $26 but I got a $5 Gift Card from the Smart Ones. My kids will have gift exchange soon so I decided to grab another Rapunzel. They were only $6 for the bigger one and $3.44 for the mini-version. The two Sorry games gave me $2 in overage using the $5 Qs inside the package. 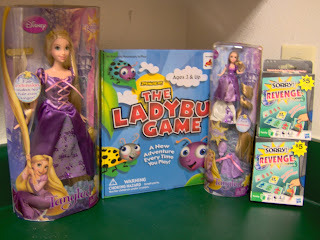 The Ladybug Game is for friends and was only $6 after 50% off Q. The total came out to $8.44 for some great Christmas presents. I also bought 3 pairs of pajama shorts, 2 undies, and a henley long-sleeved shirt for $2 using two $10/3 Target qs. Mini-dolls make great cake toppers. 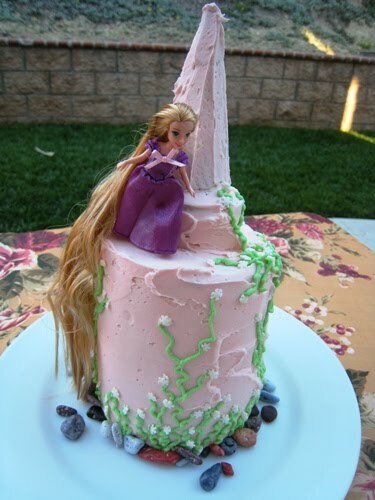 After seeing this Tangled Theme Cake, I had to get that mini-Rapunzel doll. Jessica at Life As Mom makes cakes with the best decor! Check out her tutorial- it's so simple! On a side note, at Target I saw this lady who came up to me and asked me if I was a blogger. It surprised me that someone would even recognize me. 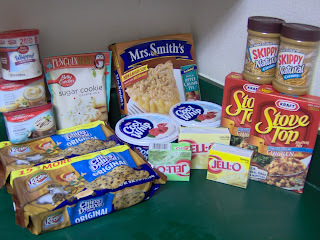 She told me how she had gotten out of the habit of couponing for some reason in the summertime. I tried to encourage her, but it didn't seem to be any use. It's makes me so sad to hear of a die-hard couponer who can't seem to get back into the swing of things. So this Thanksgiving, I'd like to encourage you to keep on going, even if it's just one or two deals a week. Pair up with someone who has time and experience and go shopping with them. Remember women do things better together- clothes shopping, Bible study, cooking. Why not grocery shopping? It's a lot more fun with a buddy system! Winn-Dixie's weekly ad ends Thanksgiving Day. But they have a few deals just for the weekend. 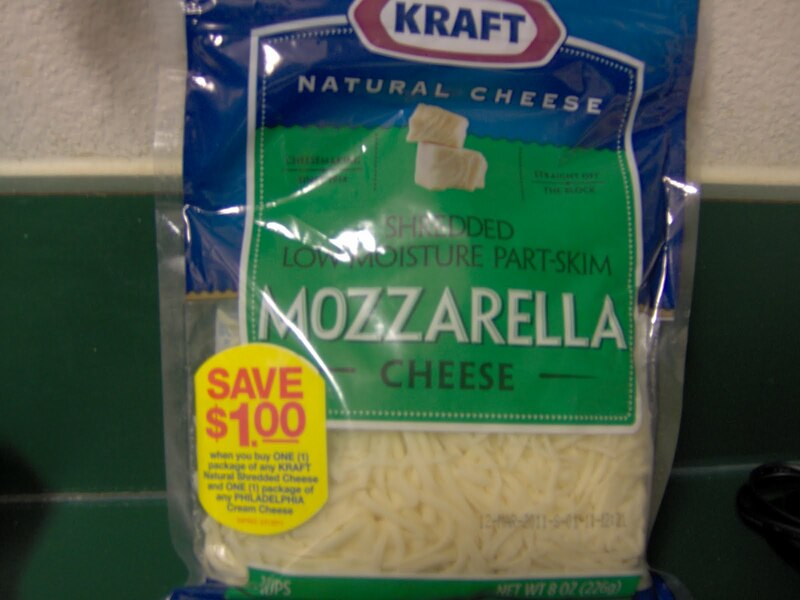 Kraft cheese will be $1 on Saturday only. Use the $1/2 PRINT to make it only $0.50 each! There is a limit of 2 per customer. Thanks Julie for the heads-up! I never recommend clicking on any banners when visiting other websites. I always say, only click on a link the writer wrote themselves. And yet I chanced it tonight when I was on coupons.com because I saw this $1 off Pilgrims coupon. 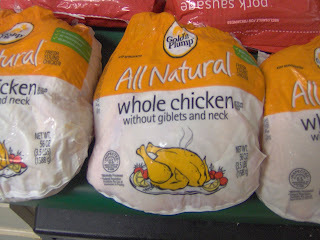 Wal-Mart carries this chicken. 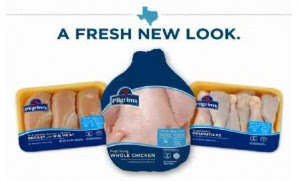 Often, split chicken breast is on sale for $0.99/lb at area grocery stores. I always go to Wal-Mart to price match to avoid driving everywhere. It's rare to find coupons for chicken. 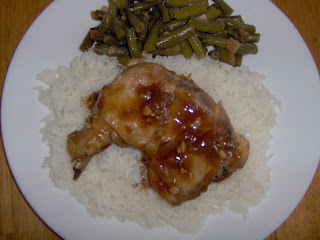 Go here to receive $1 off Pilgrim's Chicken and you can print 2 per computer! The coupon link is on the top right corner. You could go straight to the bricks link as well. You could also get $0.55 off when you register at Pilgrim's Pride website. 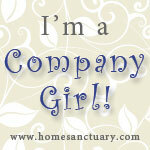 Thansk to Amanda at Simple Saving Savvy for the photo and link! 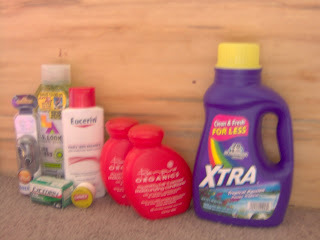 I lost the link after I printed the coupons and found it again on her blog. It's funny how priorities tell a lot about you. Our one vehicle is "resting" for a few days. With all this talk about Target's BOGO toy sales, I just couldn't stand it anymore. I called someone to go there with me. After dinner, after her and my children were surely asleep, and the dads getting there too, we trekked to Target. What a fun time we had! I even printed extra coupons in case she wanted to buy a couple things, which she did. We shared a $5 Q to a grandmother buying a Thomas the Train set, too. We had a great time of fellowship and we also got great deals! *Target registers now detect overage on coupons and scan them down accordingly. 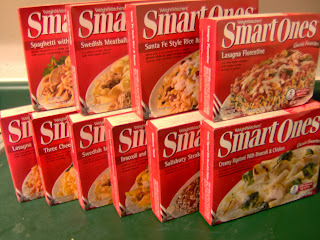 Lately, on certain non-printable coupons, I've received overage. I'm not sure which these were. 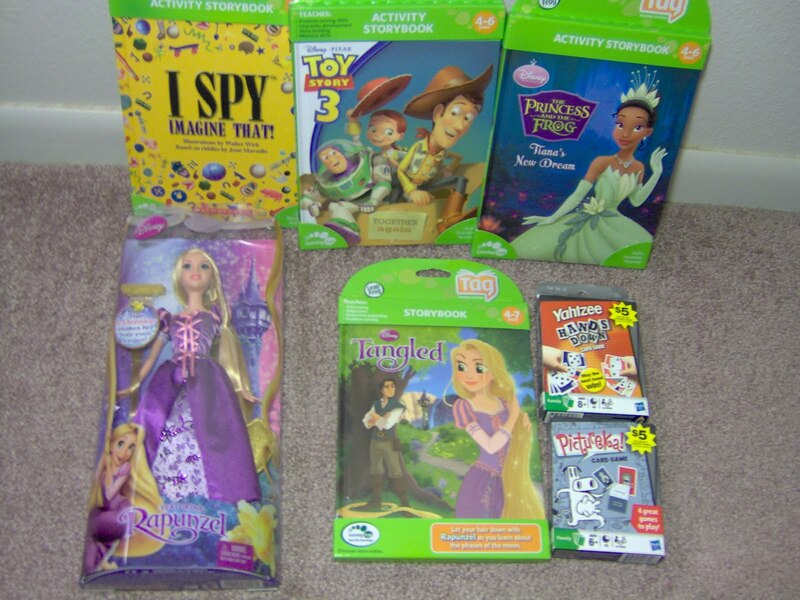 But the Hasbro Card Games (many are $3.99) have $5 Q found inside of the package. They are ringing up with $1.01 overage! There are still plenty left & with at least 4 types on sale. The only downer was those Cuponk games, they were too scary for me! I wouldn't get those even they were moneymakers. So I have 2 coupons for them and as I was leaving it on the shelf for someone else to use, the Target employee told me he would have to throw them away. The store considers them paper trash. So sad. 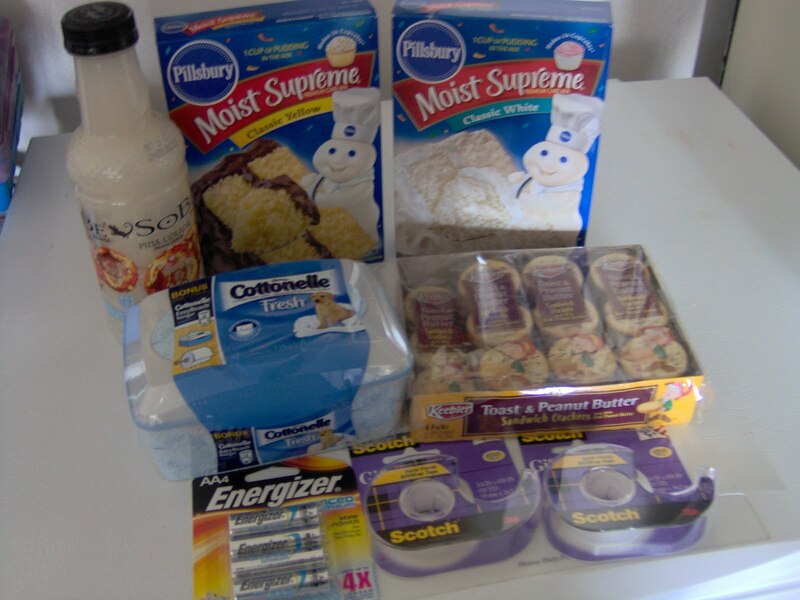 So next time you feel the urge to coupon fairy a few items, tuck them into the actual product. Or hand them to people in the aisle or in line at the register. Black Friday Deals- even at Family Christian! If you are a shopper, you're probably planning your Black Friday strategies starting today. 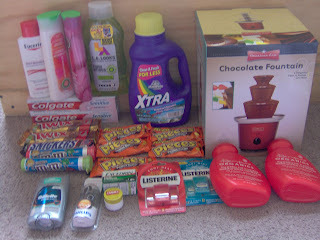 I know I am looking forward to CVS deals. Since they are open Thanksgiving, I'm stopping there after dinner. It's one place to not worry about any lines or Black Friday. Hip2Save has posted deals for CVS and Walgreens already. Both are open Thanksgiving. Totally Target has deals for Target too. But Target is closed Thanksgiving- so these sales are for Friday and Saturday. Lots of half off items too! Plus they have Black Friday sales. If I find my mailer from them I will add it here. It doesn't seem to be online. Family Christian and Lifeway always has a great selection of Black Friday sales that always includes inexpensive ornaments and Christmas cards. And plus again, no lines! At least no crazy lines. Is it Monday again already? Homeschooling is getting the better of me! My days are all a blur. But at least have more than enough in food in the house. So I will skip shopping this week (maybe). 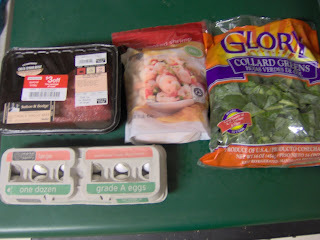 When Publix had their mussels BOGO, I was able to use two $1 Target seafood coupons and got these for only about $1.50 each. They come in garlic sauce that is really delicious. All I needed to do was add pasta and juice of 1 lemon. Adobo is the only Filipino dish I can make really well. And I'm happy with that because it's inexpensive but very good. It's my favorite comfort food. We love turkey around here. So I'm looking forward to all the leftovers. 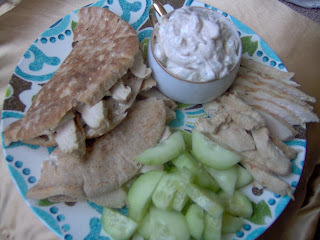 Here, I've made it with cucumber sauce- sour cream and chopped cucumber. My simple plan of sandwiches and soup for lunch, pasta or rice dish for dinner is working out very well! 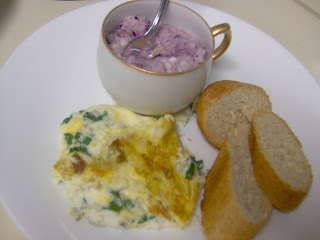 Breakfasts are generally only 3 options: cereal, oatmeal, or scrambled eggs. We also like granola in yogurt. And french bread has been only $0.19, using Target's $1 bakery coupon at Publix. 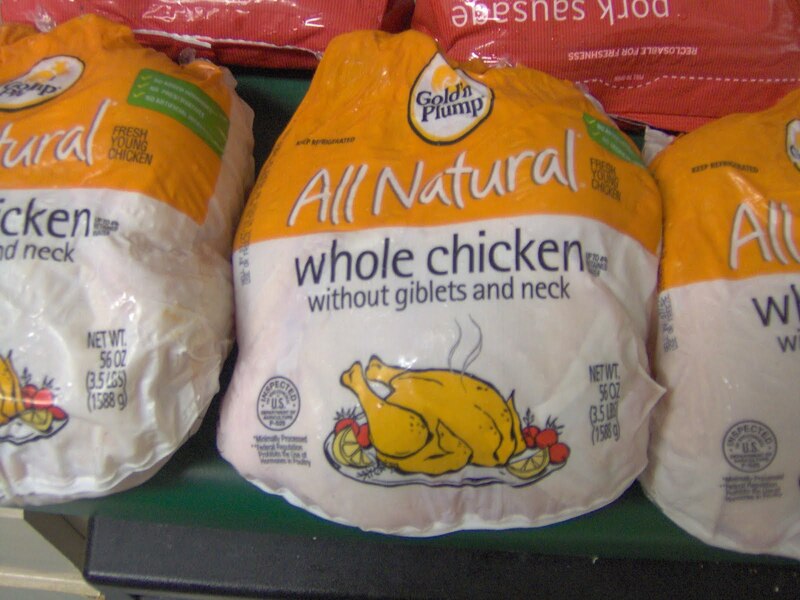 Lastly, I wanted to point out this Gold'n Plump whole chicken found at Target's meat section. We are blessed to have a Target that constantly puts their meat on clearance. Last week these were $2.50 each, before I've bought these for only $1.75 using a $1 peelie found on some of the other chicken. So be on the lookout. They will put them on sale a few days before the Sell-by-date. Now I'm getting so hungry thinking about food. Wishing everyone happy cooking! 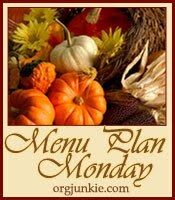 Share your menu plans at OrgJunkie! Thanks to Kerry from Totally Target for the heads up on half-off toy deals at Target. Without her blog, I would be totally lost at Target. Plenty of 50% off coupons are now on the Target website. Click on Sporting Goods and Toys to find them faster. This photo is from Totally Target. One coupon says: 50% off with purchase of any two toys listed below- Littlest Pet Shop; my little Pony; Strawberry Shortcake. 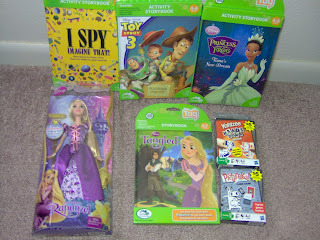 Another coupon is 50% off any Disney Princess item listed below- doll, role-play dress or play set. Also, one little girl at our house would be so pleased this Christmas. Wal-Mart.com has Barbie movies for as little as $3.50 each. I got the Barbie Princess collection- 3 DVDs including Diamond Castle, Island Princess and 12 Dancing Princess for only $9.50. Santa is happy. Thanks to Hip2Save for this deal... there are lots of other DVDs in the website too. 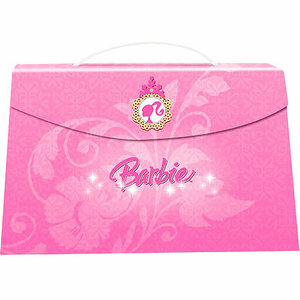 Just select price low-to-high and choose site-to-store pick-up to avoid shipping cost. There are lots of good deals at Publix this week. 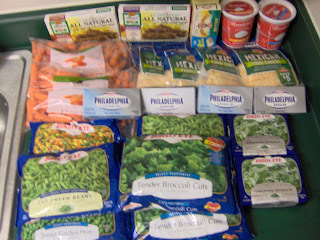 I finally got to go yesterday and was happy to find everything... except for the $0.59/lb turkey! No worries, the truck was there and they should have plenty today. *Some stores make you do B3G1 when you combine a BOGO Q w/ a BOGO sale. But it worked for me at the Perdido store, and I had a supremely picky cashier who previewed all my coupons before ringing up anything. 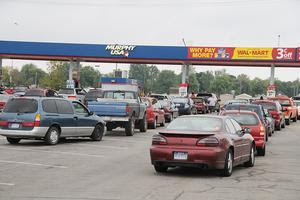 When you use a Wal-Mart gift card or credit card to pay for gas at Wal-Mart, you get 3-cents off per gallon. Sounds like a pretty good deal. To top it off, Wal-Mart has the lowest gas price in our neck of the woods almost all the time. BUT, an older gentleman informed me of results from unexpected experiment they had with gasoline from Wal-Mart and from another gas station. Since they were traveling to GA, they filled the tank here in Pensacola first. On the way back they filled up at a different station, since they didn't have any gas stations at the Wal-Mart there. Were they surprised at how much better gas mileage they got from the other station. From Wal-Mart's gas, they got 18 miles per gallon, as opposed to 22 mpg from the other. We switched from Wal-Mart to another station to see if we had the same results. And we did, plus, the very next day, the car stopped trying to shut off. It ran smoothly at a higher mpg. I'm glad the told us. It's so important to share Frugal Tips! 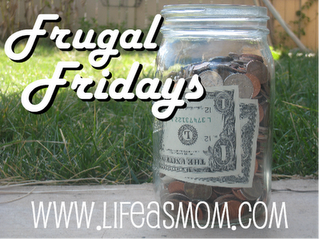 Share yours on Frugal Fridays. 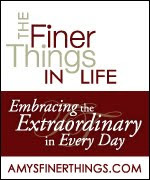 I love Amy's Finer Things Friday. It reminds me to constantly look out for the marvelous in the mundane. This is especially helpful for Date-Night-In. Grandparents live far away and babysitting can be costly. So we hangout at home when the children sleep and we watch movies from the Redbox. Or the Blockbuster Express found inside Publix. With all the savings, we do splurge on the snacks. Sushi is my favorite date food. I look forward to it like I do Starbucks Ice Cream. Sushi from Publix is borderline expensive to me, but it is so yummy. One catch though, I only recommend getting it from Mobile Hwy. Mike and Sharon, owners of the Sushi franchise, are artists. They even change the menu to suit the seasons. 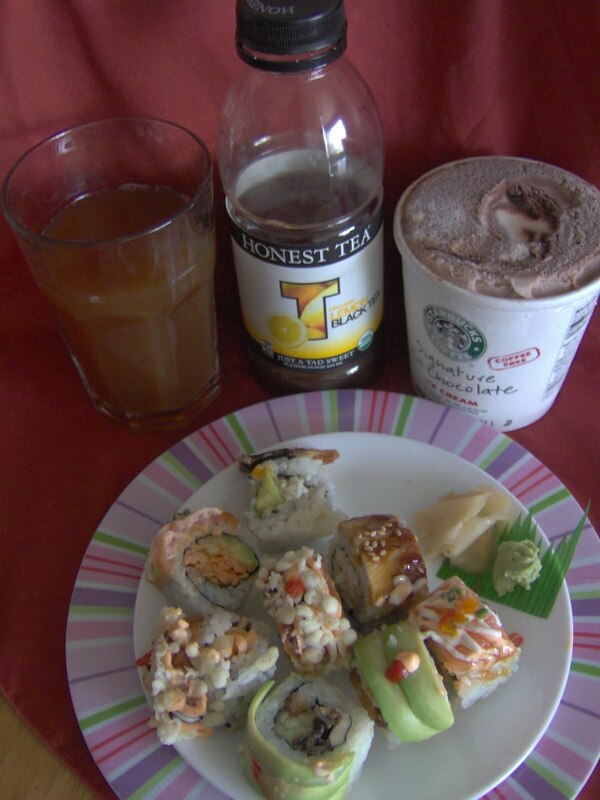 For example, this summer, we had sushi with mango salsa. Mike used to work fulltime at a restaurant making sushi before starting on his own. I like getting the spicy sampler because it's so pretty with all the sauces and different trimmings. I hope you get to try it. You can probably ask for a sample if they are there working. They are such a pleasant couple. Print the $10 off 3 Target coupon before it's gone. It doesn't expire until sometime December so you could use it for Black Friday sales next week. But if curiosity gets the better of you like it did me,you'll find some worthy clearance items up for the taking. These are 50% off, shorts are $3.98 while pajamas are $6.48, with many different kinds to choose from. 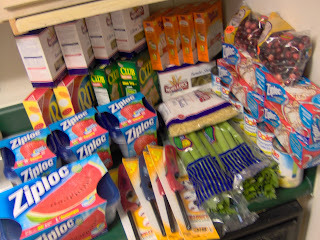 At our store, there were racks of 50% off and also marked and unmarked rack 30% off. Many sock monkey prints are available. Some bras and underwear are included too. What I did was go around the corner, at the sportswear section, where 75% off undies made them only $0.75, perfect filler items. It doesn't even matter if you can't find any your size. Grab one ($0.75), shorts ($3.98) and pjs ($6.48); use $10/3 and pay only $1.23 for everything. I'm going back for more while the selections is still good! Also, at the sports section, there are $1.25 tights (mostly neon colors SM/MED sizes). In produce, Glory Green are marked down $1.25, so only $0.35 with this $0.90 PRINT (it prints in the middle of the page). 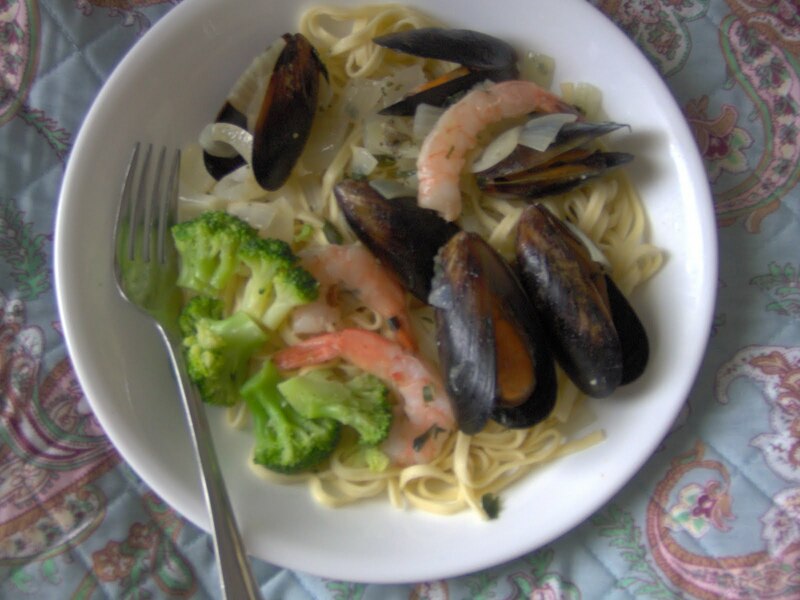 After we came home, I cooked them in the pressure cooker right away. The sell-by-date is Nov 25. 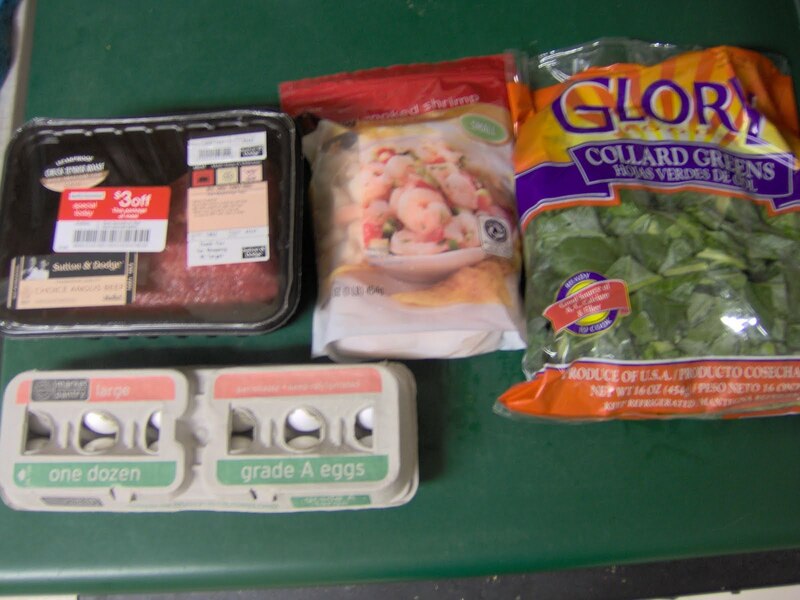 The salad shrimp are only $4, use the $1 Target Q to make them $3... I see shrimp grits in our future. Eggs are $0.99, cheaper with $0.55/2 coupon. Not a fan of regular eggs? These have no restrictions on variety. Too bad that Target hiked the organic eggs to $3.39, but the coupon should help a little. 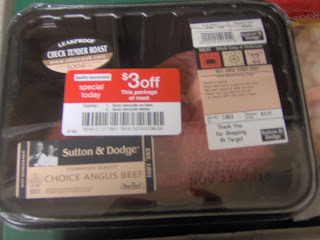 I also got this chuck tender roast with a $3 off sticker. They are $3.59/lb on sale, so it was like getting one pound free. I have these marinating in the fridge and ready for grilling. If you can't find one with a manager's special discount, you can also use the $1 Target Q. Finally, it's a nice blessing to see peelies at our store for cheese. I've heard of many other cities boasting these and now we have some. The are $1 off when you buy both cheese and Philly cream cheese. Since cream cheese is $1.19 (stack with $0.50/2 Target Q) and Kraft shreds are $1.80 (stack with $1/2 Target Q), these should give you cheap cheese. There is also a $1.25/3 from a booklet found at Winn-Dixie in the baking section. I've only seen this booklet over at 9th Ave next to Michaels and Target.